I bought my K2 750 off Ebay a couple of years ago. It was in full road trim with only nine thousand original miles on the clock. The only modifications I have done is to change the seat, mufflers and replace the original black mags with spoke wheels. The guy I bought it off said it had been bored out to an 820 so I took him at his word. 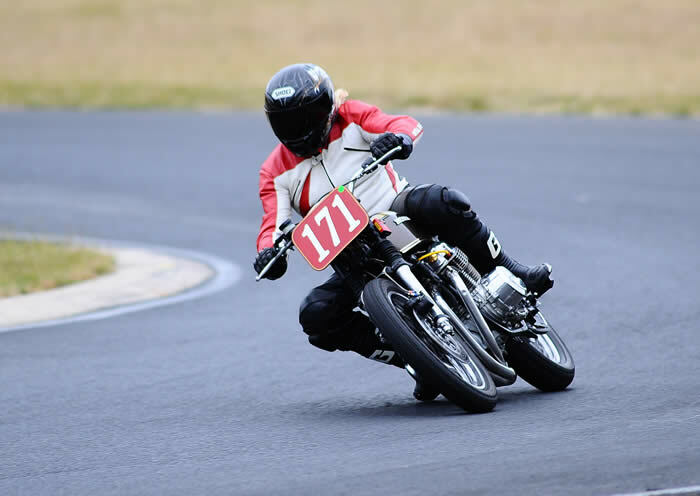 My first road race event ride was at the recent Pirelli Masters at Morgan Park Warwick on the Queens Birthday weekend. The guy had done things right! The motor was strong, but with only 200 plus km’s since the rebuild I was a bit worried about over revving it. I solved that by simply removing both the speedo and rev counter, just as well, I missed a few gears so I really didn’t want to know. After the first race on Saturday I was starting to get a good feel for how she handled. It was however suffering some back wheel chatter & then a link on the chain broke. Turned out to be a poor quality Chinese one. The snapped chain did some significant damage to my engine case & took a chunk out of my seat but with the expertise of Lindsay Donai and the help of others it was all fixed ready to go for Sunday. Anyone who was there knows what happened, rain and more bloody rain. That’s racing. I’m really looking forward to getting it out on the track again. I intend to keep the bike pretty much standard looking, for me that’s a big part of the fun, to ride these bikes how they would have looked back in their day. If that means carrying a few extra kilo’s so be it. If weight was a huge factor I’d go on a diet but that is definitely out of the question. Anyone reading this who may be considering in historic racing, just do it!! 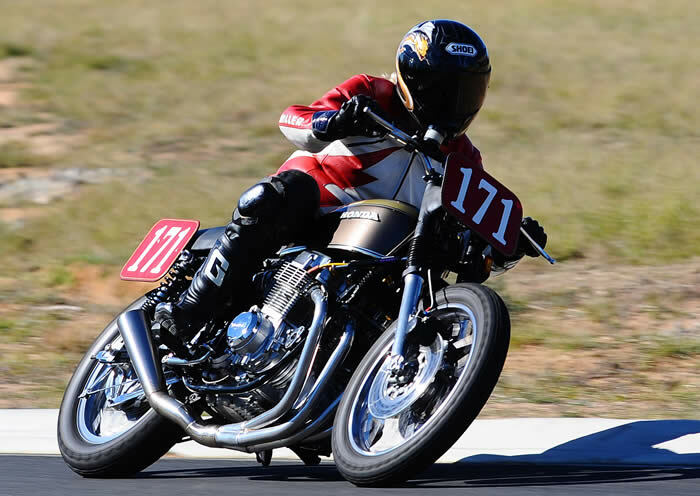 Historic racing is very cheap compared to most other motor sports, the bikes are great fun and you will meet a great bunch of blokes!